In 2014, the same year that brought racial unrest to Missouri over police tactics seen by African Americans as racially motivated, Attorney General Chris Koster reported Monday that his office found the highest racial disparity in police vehicle stops since the state began data collection in 2000. According to the state’s study, black drivers in Missouri were 75 percent more likely to be stopped on Missouri roads than white drivers, up from 31 percent when the state started its data collection. 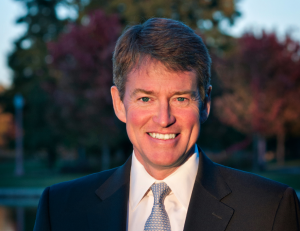 “While statistical disproportion does not prove that law enforcement officers are making vehicle stops based on the perceived race or ethnicity of the driver, this compilation and analysis of data provides law enforcement, legislators, and the public a starting point as they consider improvements to process and changes to policy to address these issues,” said Koster, a Democratic candidate for governor, in a statement announcing the report. The study is done using what has been dubbed the “disparity index.” A disparity index of one would mean that the number of members of a racial group would perfectly match their proportion within the larger population. If the index is higher than one, it means that the group is over-represented. Across the state, Koster’s office found the racial disparity for African Americans to be 1.66, the only racial group in the statute be over represented. When the state began its data collection in 2000, African Americans scored 1.27 on the scale. “These findings continue a disturbing trend for African-American drivers in Missouri,” Koster wrote in his analysis. “With 613 law enforcement agencies conducting vehicle stops in Missouri, there is no single explanation why these disparities exist. In Ferguson — where a shooting of a young black man by a white police officer sparked a national debate and protests over the perceived racial motivation of police officers — 2014 actually marked a decline in its racial disparity index, down to 1.3 from 1.37 in 2013. Officials in Ferguson, Koster’s office noted, was one of 18 police agencies that failed to submit its report by the March 1 deadline in state law. It did, however, submit it in time for Ferguson’s results to be considered in the entire analysis.